For security reasons, two-step Google authentication was introduced. We strongly recommend that you enable two-step authentication! Depending on the operating system, you need to find an application called Google Authenticator and install it on your device. 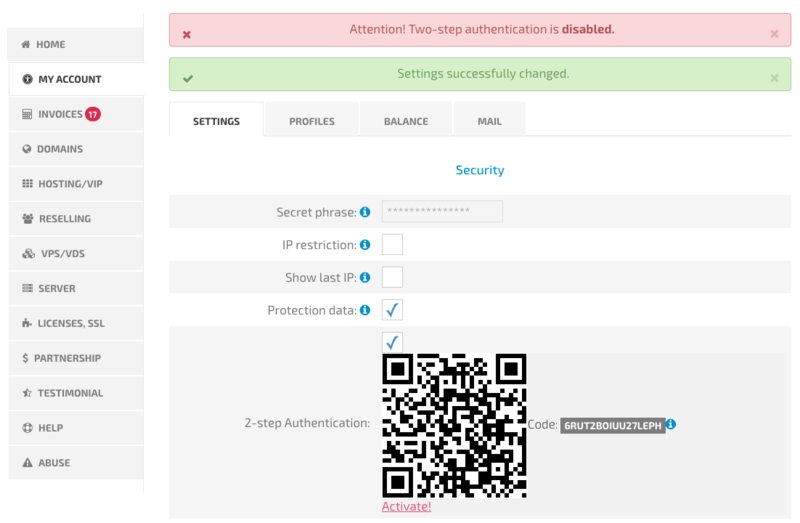 Next, scan your device with the QR code from the site and activate two-step authentication in your account setting. Remember that in no case can we neglect the safety of your services!